January - There is general shock when Family Justice Minister Simon Hughes speaks an entire sentence without using the word 'mediation'. February - The President of the Family Division Sir James Munby issues new guidance upon how to interpret the guidance to all of the other guidance he has previously issued. March - Irate judges at the Central Family Court complain that the transparency drive has gone too far, after glass doors are fitted to the toilet cubicles in the judicial cloakrooms. April - In a re-branding exercise aimed at getting rid of the stigma attached to it, the Child Maintenance Service is to get a new name. In future it will be known as the 'Child Support Agency' The Department for work and Pensions has promised '£0 million of new money' to improve the Agency. May - Breakaway fathers' rights group The Even Newer Fathers 4 Justice stage a protest in the House of Commons on the 7th of May. Unfortunately, no one is there, as the general election is taking place. June - The Marriage Foundation calls upon the new government to implement the Turn the Clocks Back to 1955 Act, because in 1955 no one cohabited and everyone was happily married. July - In an effort to cut the cost of the family justice system the new government introduces 'Compulsory Agreement Mediation', whereby participants must not only attend mediation but will also be made to stay behind until they reach agreement. August - The President decrees that his new Child Relations Arrangements Programme will not be known by its initialism. 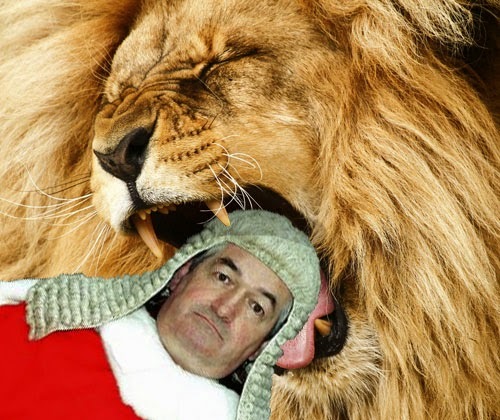 September - With the number of lawyer-represented family litigants plummeting, the International Union for Conservation of Nature officially categorises the family law advocate as an endangered species. October - Solicitor Cecil Snodgrass, representing a father seeking contact with his children, dies of shock after his client is granted exceptional legal aid funding. November - Professional McKenzie friend Colin Vholes is unrepentant when the Supreme Court criticises him for ceasing to act for a former millionaire, after his client can no longer afford his fees. December - Sir James Munby announces 'Divorce as an over the counter process', whereby all divorces will be issued and processed at the local post office. 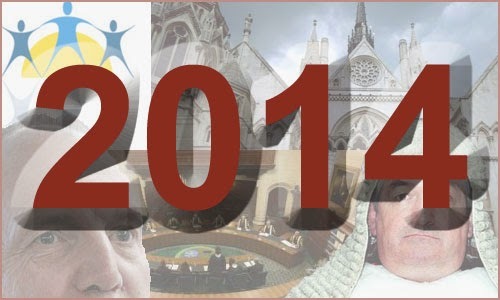 A review of the year – Part 2: Justice for all? Child Maintenance Options: success or failure? - Looking at the recent statistical report from the DWP. Denying a father contact - As in Re P-K (Children). 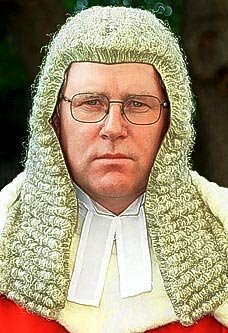 Child relocation: the hardest decision - As described by Mr Justice Mostyn in NJ v OV. Cohabitation rights: a question of fairness - Discussing Baroness Deech's thoughts on the Cohabitation Rights Bill. Have a good weekend and, in case I don't post here again beforehand, enjoy your Christmas. The largest provider of family meditation in England and Wales has welcomed the passing of the Cohabitation Rights Bill’s Second Reading in the House of Lords. National Family Mediation’s expert professionals help separating couples agree settlements on property, finance and parenting issues without the need for a courtroom drama. They achieve full agreement in over 80 per cent of cases. The organisation’s Chief Executive, Jane Robey, says “Government recognition of cohabitation as being equal to marriage is at least a decade overdue, so the Cohabitation Rights Bill is a welcome step in the right direction. “The disadvantages that exist for cohabitating people in lengthy relationships with children are profound, and have needed correcting for some time. “The real difficulty in achieving reform in this area is that governments tend to step back from changing the law late in the game, for fear of being seen to undermine ‘the institution of marriage’. The Cohabitation Rights Bill, which aims to give “certain protections for persons who live together as a couple or have lived together as a couple; and to make provision about the property of deceased persons who are survived by a cohabitant; and for connected purposes” passed its Second Reading in the House of Lords on Friday 12 December. The full text of the Bill can be found here. Preventing child abduction - With reference to the case C v K.
Sir James talks to FNF - A look at the President's speech to the fathers' rights group. The importance of contact centres - As demonstrated by the case A-M (Children). Rewarding a party who has acted unlawfully? - The case A v D & Others. I remember when I was practising being concerned by the ease with which ex parte domestic violence injunctions could be obtained. Some solicitors seemed to advise all of their female clients to apply for one as an 'opening gambit', which could often determine the entire outcome of the proceedings, especially where an ouster order was made. After such an order the ousted party would find it very difficult to return to the property, and of course the issue of residence of any children would also effectively be decided in favour of the party remaining in the property. In fact, I was so concerned after one particular case that I recall writing to Family Law, where my letter was published. "In a nutshell, on the evening of Friday 20 June 2014, Mr R returned from work as normal to the home at No. 23 X Street where he lived with his wife, Mrs R, and their six children. Soon afterwards, he was served with a Family Court order obtained by Mrs R that day which, amongst other things, forbade him with immediate effect from entering or attempting to enter X Street. The order had been made at a hearing of which he had no notice in proceedings of which he was unaware. Mr R duly vacated the property and, having done so, attempted over a period of months to challenge the order through proper court procedures. However, on the basis of an insignificant procedural failing, the court refused to hear his challenge. In the meantime, he was arrested for an innocuous breach of the original order to which he pleaded guilty without receiving legal advice and in consequence acquired a criminal record. And as if that were not enough, the effect of the original order was to deprive him of contact with his children for fully five months." The situation leading up to these events was the typical scenario. The marriage had been in difficulties for some time and discussions took place between the couple about a separation that would involve Mr R moving out. At around the end of May 2014 , finding that Mr R had not moved out, Mrs R consulted solicitors. They applied for legal aid for Mrs R on the basis that she was a victim of domestic abuse. On 20 June, the solicitors issued an application for a non-molestation order and an occupation order and requested a without notice hearing. This request was contained in a Certificate of Urgency signed by a partner, certifying that the application was of such urgency that it must be heard expeditiously. The reason given was that the applicant was at risk of significant physical and emotional harm should the respondent be given notice. Ms R's statement in support of her application referred to only one recent incident, an argument on 14 May 2014 about responsibility for a credit card bill, during which Mrs R alleged that Mr R was verbally abusive, shouting and swearing and calling her derogatory names. "If accepted by the court," Said Mr Justice Jackson, "Mrs R's evidence may well have justified a non-molestation order after a hearing of which Mr R had notice. It in no way diminishes her account, however, to say that the evidence scarcely justified the making of an order without notice." The without notice application went before a Deputy District Judge on 20 June. The transcript indicates that she made clear at the outset that she was not going to grant an occupation order removing Mr R from 23 X Street, and remarked that Mrs R's evidence was in general old. She then went on to consider the draft order, noting that the family lived in X Street. She said that she would make a non-molestation order including all the provisions in the draft order, but only for a few days. Strangely, she then approved an order barring Mr R from the street in which the home was situated. Mrs R's lawyers did not point out this anomaly to the court. 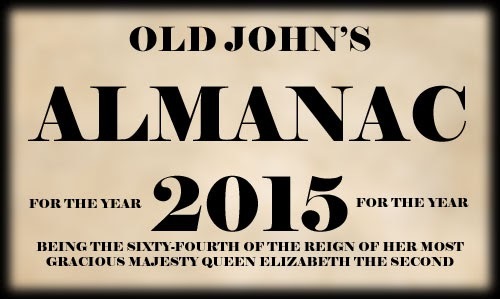 The order was expressed to last for a year. Mr R was at the specific behest of the judge given permission to apply to vary or discharge the order on 24 hours notice and a hearing was fixed for an early date, 26 June. It was stated that the court would then consider whether the order should continue. The order was served by a process server on Mr R at 23 X Street at 8:15 p.m. "It is a sign of the reality of the situation", said Mr Justice Jackson, "that Mrs R agreed to him remaining in the property overnight. Mr R left in the early hours of 21 June to go back to work, taking little or no personal property with him. He has not been back to the property since." After this, things went (even further) downhill for the husband. I won't go into the details, but for reasons that were at least in part beyond his control he was unable to file his statement by the 30th of June, as required by the court. He requested an extension of time, but the court responded by vacating the return date fixed for the 23rd of September, because of the husband's failure to file his evidence. Accordingly, if the husband opposed the continuation of the order, he would have to make a formal application himself, which he did on the 15th of July. His application was dismissed at a hearing on the 12th of September. He appealed. 1. A without notice application should not have been made. 2. A without notice order should not have been granted on this evidence. 3. The order that was granted did not reflect the judge's intention. 4. The orders preventing access to the street and banning direct communication were unnecessary and disproportionate. 5. At the first hearing attended by both parties, the court did not review the without notice order to ensure that there were no obvious errors of the kind that existed here. 6. The date given for a contested hearing of Mrs R's application was too distant to be meaningful. 7. Mr R's request for extra time to file his statement should have been granted at the outset. 8. The hearing date for Mrs R's application should not have been cancelled. 9. The application for relief from sanction should have been considered on paper and granted. 10. The date given for a contested hearing of Mr R's application for relief from sanction was again too distant to be meaningful. 11. The District Judge did not correctly apply the rules governing relief from sanction. Had she done so, she would have concluded that there was no good reason for refusing to admit Mr R's statement. (1) The default position of a judge faced with a without notice application should always be "Why? ", not "Why not?" As has been repeatedly stated, without notice orders can only be made in exceptional circumstances and with proper consideration for the rights of the absent party. (2) The court should use its sweeping powers under the Family Law Act 1996 with caution, particularly at a one-sided hearing. Where an order is made, it is the responsibility of the court (and, where applicable, the lawyers) to ensure that it is accurately drafted. This consideration applies with special force when a breach of the order will amount to a criminal offence. (3) Extra injunctive provisions such as exclusion areas and orders prohibiting any direct communication between parties should not be routinely included in non-molestation orders. They are serious infringements of a person's freedom of action and require specific evidence to justify them. (4) The power to penalise non-compliance with case management orders should be used firmly but fairly, in a way that supports the overriding objective rather than defeating it. The court should apply the rules (here specifically FPR r.4.6) with that aim. (5) The court should be on guard against the potential for unfairness arising from the Legal Aid, Sentencing and Punishment of Offenders Act 2012, whereby the applicant is entitled to legal representation as a result of unproven allegations, while the respondent is not. In this case, the fact that one party had no legal advice at any stage was critical to the outcome. A Christmas song has been released called Christmas at My Mum’s House which draws attention to the nearly 1 in 2 children in the UK who now live in separated families. Composed by Yuval Havkin, written by Kate Ingmer and sung by 11-year-old west end performer Asha Banks, the song highlights how difficult Christmas can be for children whose parents have split up, and how they can feel torn emotionally between the two and responsible for the happiness of each parent. · In November the association of family lawyers and mediators, Resolution, published a report on the experiences of children in separating families, widely reported in the media. Each year over 100,000 under 16s experience family separation and the report links the experience to poor exam results, drug and alcohol misuse and eating disorders. · The Government has set up a “Voice of the Child” working group following a Government commissioned report showing that children are easily marginalized during family separation. The report states that children and young people have a right to have their voices heard and very much want to be heard – but there is a culture that tends to exclude them. Duncan Fisher, from Kids in the Middle, says, “The proportion of 16 years olds who have experienced the separation of their parents is heading for nearly one in two. Three on-line services to help these young people have closed down in recent years. “We are releasing this single to raise awareness of all the work that is going on to listen to children and young people more and to ensure that there is great on-line information and support for anyone reaching out for some help. “This time of year can be particularly difficult for children of separated families, as they struggle with many different emotions, and Yuval’s beautiful song communicates these feelings, while capturing the spirit of Christmas. The song is available online, and is in aid of the charity, which was originally set up through the fundraising efforts of a number of teenagers and family lawyers and mediators. The charity provides advice and reassurance to children and young people from young people who have been through the experience, and links to a wide choice of support services for young people. The song is available to download from iTunes, Amazon and Google Play. "In a nutshell the husband maintains that he has assets amounting to only a few hundred thousand pounds, including a flat in Maida Vale worth about £1m (but with equity of only about half that sum) and a reasonable salary of about £100,000 p.a. net. He says that is all there is and that is the whole story so far as the exercise of the court's powers is concerned. The wife on the other hand says that the husband's assets are the merest tip of a huge family financial iceberg. She says that the husband's father has wealth in the stratosphere, measured probably in billions, and that he can reasonably be expected and predicted, given his past generosity, to make capital available to meet a reasonable claim by the wife based on the wealth at that sort of level. In short if I make an order against the husband, his father will meet it. Accordingly, the wife aspired at the outset of this hearing to a lump sum of some £3m and a global income order of some £10,000 per month, plus a nanny and a maid full time. By the end of the hearing the wife, it is true, had moderated her claim to a capital payment of only £2m. The husband has, on the other hand, offered to make available his flat in Maida Vale for the period whilst the child is a minor after which he says it should be sold and the wife should receive a small portion of its value absolutely with the balance being payable to the parties daughter. That is all he can afford he says. Accordingly, there is a huge divergence of approach and the court has to do the best it can to resolve it." The facts of the case can be set out very briefly for the purposes of this post. The marriage lasted only about two years and there is one child, now five years old. The wife lived with the child in a rented flat. Apart from the husband's flat in Maida Vale there were few assets, and both parties had run up considerable costs. It was, however, conceded that the husband's father is very wealthy and that he is, and has been in the past, generous to his children and grandchildren. The issue of the husband's father's financial 'assistance' therefore dominated the case. "There will be occasions when it becomes permissible for a judge deliberately to frame his orders in a form which affords judicious encouragement to third parties to provide the maintaining spouse with the means to comply with the court's view of the justice of the case." "I ... collect, from the authorities to which I was referred, that the general practice or philosophy in this situation is that even if the court is prepared to proceed on the basis that a relative or trust is likely or can be reasonably expected to "backfill" to compensate for a share of the visible assets removed by the court order, it is very unusual indeed to make an order that the outside person or entity produce fresh money directly to meet an award to a former spouse claimant. In other words, the availability of these external resources may enable the court to be more generous with the visible resources if it has sufficient confidence that the hole thereby created in the payer's resources will be made up or "backfilled"." 1. The husband's father is hugely wealthy, probably worth in excess of £1bn. However, it would be highly dangerous for the court to proceed in this, or any other similar case, on the basis of crossing its fingers and hoping that such a rich parent would pay up more or less at any level. 2. The husband's father has indeed helped his son in the past, including by way of making considerable provision for his legal fees, to the tune of £250,000. The husband's father has also demonstrated his generosity and concern for his children and grandchildren by providing homes for them and paying generous allowances and school fees. 3. Taking into account all the evidence of past payments and the oral evidence which he heard, he was satisfied that the husband's father will help out, but only to the minimum necessary to relieve his son from visible financial hardship. 4. 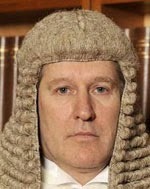 Accordingly, he ordered that the Maida Vale property be transferred to the wife, with the aim that it should be mortgage free either now or as soon as possible in the future (the wife was actually to have two-thirds outright and a life interest in the other third, which should then pass to the child). 5. The husband is to be responsible for redeeming the charges on the property, by way of a lump sum or lump sums: "That lump sum provision will be received, I conclude, either from the father or other members of the respondent's family. Failing that it can be discharged, absent receipt from those sources, by continuing to pay off the current mortgage or new borrowing up to the same amount on the same or a different property." 6. As to the 'assistance' of the husband's father, Mr Justice Coleridge said: "I think it is a reasonable estimate that when the dust has settled and the court orders are known, the husband's father will be prepared at the very least to lend his son the necessary sum to redeem those charges ... even if he requires his son to pay him interest at a reasonable rate. I think it is more than a fanciful possibility that he will in fact give him the money but I have not assumed that or proceeded solely on that basis." 7. The transfer of the flat was to take place within 3 months, after which the husband was to pay £4,000 per month maintenance, split 50/50 between the wife and the child. 8. If the wife, at the end of the 3 months, moves into the Maida Vale flat and the mortgages have not by then been redeemed, as hoped by the husband's father, the husband will have to continue to meet the monthly mortgage repayments by way of additional periodical payments. If in due course the wife decides to sell, there will be a lump sum payable to her of the amount of the outstanding mortgages, but which again the husband can discharge by way of meeting new mortgages up to that amount. The international complexities of family law - As in Ville de Bauge & Another v China. Supporting litigants in person - The MoJ report into the experiences and needs of LiPs. A successful Hague Convention defence - SP (Father) v EB (Mother) & Another. How not to conduct a financial application - As demonstrated in Thiry v Thiry. A new accreditation quality mark for family mediators will help reduce couples in crisis who are confused when considering their post-divorce options, says a leading family charity. With family mediation becoming a more prominent way of resolving family disputes, it is now compulsory for separating couples to attend a mediation awareness meeting before they can apply for a court order to settle issues relating to finance, property and children. New Ministry of Justice funding will enable a compulsory accreditation scheme which all family mediators will have to work towards if they sell their services to the public. Having long pushed for a single quality mark, the largest provider of family mediation in England and Wales, National Family Mediation (NFM), says the government funding represents a wise investment for separating couples and taxpayers. 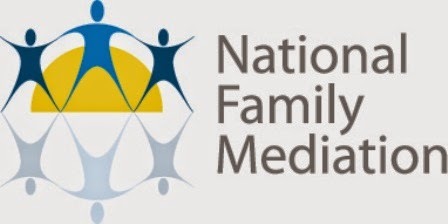 “Family separation is traumatic enough, but when there are so many so-called ‘family mediators’ advertising their services, with no clear quality mark, the confusion means people tend to stick with what they know”, says Jane Robey, NFM’s Chief Executive. “Often that means they plump for solicitors’ high-cost legal fees instead of committing to quicker, cheaper out-of-court dispute resolution services. “Government funding for a new single professional standard which all those calling themselves ‘mediators’ will have to work towards is a wise investment. “Importantly it will make life a little simpler for confused couples because there will be a recognisable quality mark that will give people confidence when they are considering engaging a family mediator to help them reach a settlement. “The traditional post-Christmas increase in divorce means more threatening clouds are gathering right now for families across the country. Whether you need a roofer, car mechanic or a dispute resolution expert, quality assurance is a key part of the decision you make. Most of us know what industry standards look like for other professions so why should it be different for other specialist services? When the storm breaks, you need to know you can count on the quality. But she conceded that the initiative will not draw universal praise. 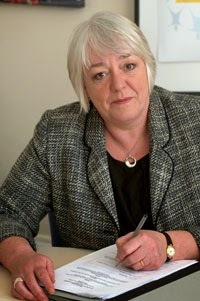 Establishment of the initiative is being funded by the Ministry of Justice, with responsibility for the scheme’s development being handed to the Family Mediation Council. 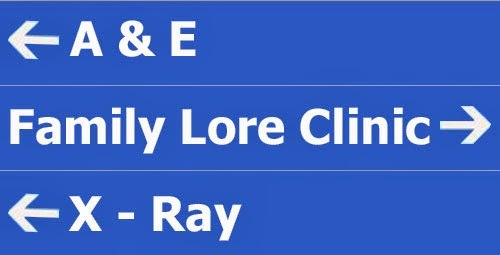 Family Lore Clinic: Can I disagree with an overnight contact order in court? I suppose I should begin by explaining that, technically, there is no longer any such thing a 'contact order'. Contact orders (and residence orders) have been replaced by 'child arrangements orders' which deal with arrangements over 'with whom a child is to live, spend time or otherwise have contact, and when a child is to live, spend time or otherwise have contact with any person'. OK, having said that the answer to the question is quite simple: if someone (presumably the other parent) is seeking to have overnight contact with your child (often referred to as 'staying contact') then, if you believe that such contact is contrary to the welfare of your child, you can object to it in court. Having said that, overnight contact is very common and is usually considered to be a good thing, provided that the other parent has suitable accommodation where the child can sleep. Accordingly, you really do have to have a good reason or reasons why overnight contact should not take place. As usual, if you require further information or advice regarding this issue, you should consult a specialist family lawyer.